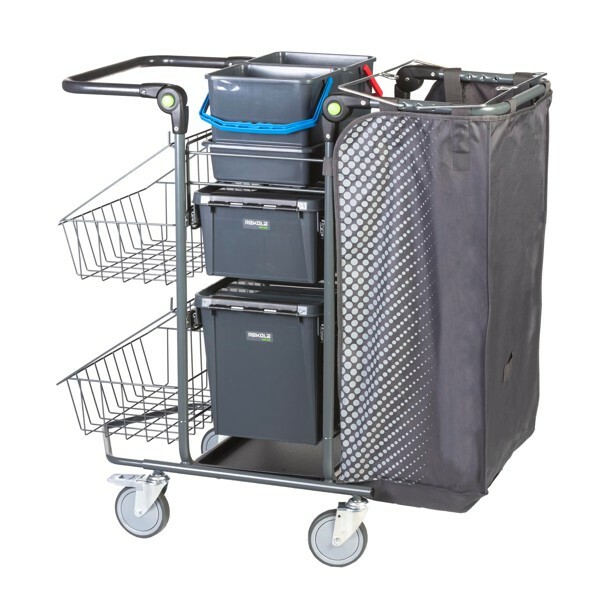 The M2 trolley product range is all about having a compact trolley with high capacity. Many innovative solutions and ergonomic thinking makes the M2-trolleys modern and friendly to use. These trolleys have - among many other features - drawers with runners and hygienic, adjustable handle bars. 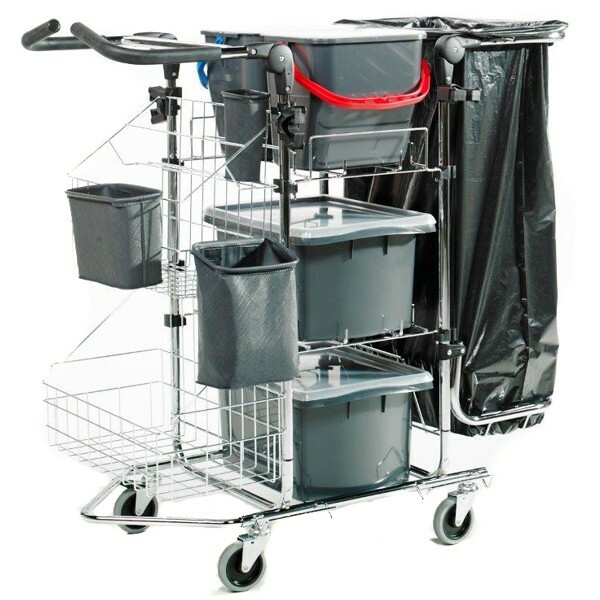 Our M2.0.322 is an extremely compact cleaning trolley with great capacity. It’s designed with innovative features and ergonomic thinking in mind. This model is probably the most used cleaning trolley in Scandinavia. It has innovative features which has been carried to more or less to all our trolley models. Over the years we have made many different variations and combinations of this model. Whatever your choice of mopping system - this trolley will fit.